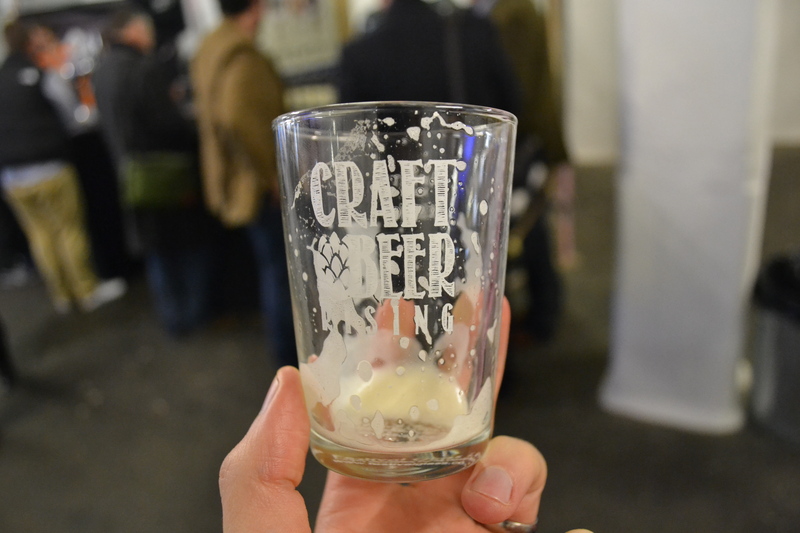 Craft Beer Rising 2014 | It Comes In Pints? We shuffle into the Old Truman Brewery in East London’s Brick Lane for the second annual Craft Beer Rising festival with a huge sense of anticipation. The front of the programme promises “beer, music, street food”, and it is hard to see how this can add up to anything other than a cracking afternoon. 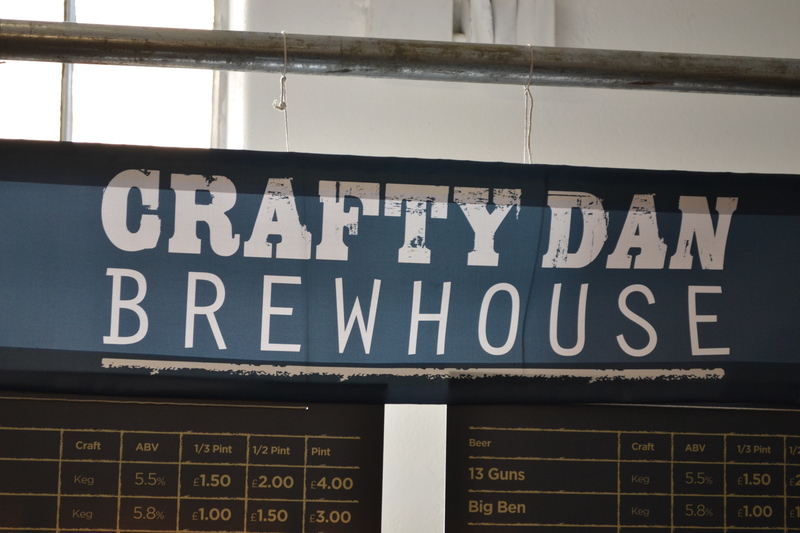 And yet… there is still the potential for beer festivals to get it wrong. 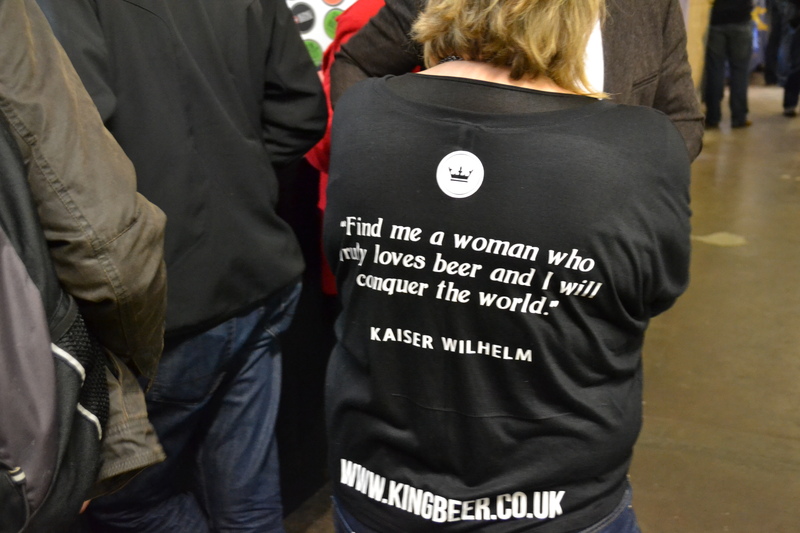 Many will remember last year’s London’s Brewing event where no one actually got to drink any beer, whereas regular ICIP readers will remember our experiences of depressing sexism at GBBF a few months ago. So we didn’t want to count our chickens, and we accepted our branded ⅓ pint tasting glasses with tentative optimism. Luckily, CBR 2014 exceeded all our expectations. Thrown into the chaos of the trade session, and surrounded by booze industry bigwigs, fellow beer bloggers and journos, we were initially a little overwhelmed. 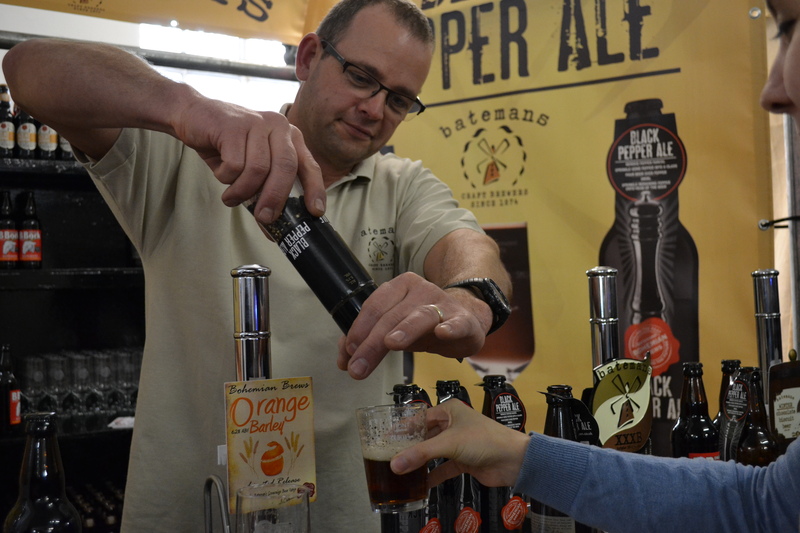 There were many more breweries represented compared to last year, the 75 exhibitors ranging from the big guns such as Fullers and Meantime down to brewers so new they told us they had only finished assembling their equipment the day before. Flicking through our packed programmes, we barely knew where to start, but once the beer started flowing, we were off at a gallop. Like many of the big cask ale breweries, Thwaites have developed a craft arm of the business to capitalise on the recent popularity of specialist beers. However, unlike many of their competitors, they are really very good at it. Crafty Dan has been on our radar for a while now. We tried the sublime 13 Guns at Nicholson’s Autumn Ale Festival last year, and we’ve also enjoyed their Big Ben courtesy of Beer52 recently. So we were already excited to see the Fallen Nun black IPA (7%) in the programme, and didn’t need much convincing to visit their stand. But when we got there we were offered a taste of the unique Benny & Hop (5.8%), an unadvertised addition to their pumps. The Thwaites rep we chatted to explained that this was brewed with Bénédictine liqueur, a herbal drink he likened to Jägermeister. While this was originally developed by French Benedictine monks in the 19th Century, due to its popularity with Lancashire regiments stationed in France during the First World War it is still widely consumed in Thwaites’ home-county today, and the perfect addition to an experimental brew. Offering something a little different from the more common whisky barrel-aged beers, Benny & Hop’s hoppy aroma gave way to a more complex flavour, with fruity notes and a spicy, Cognac twist. With their friendly blue and white branding and big smiles, we were immediately drawn to Bear Hug. So new that they had reportedly only received delivery of a lot of their equipment the previous day and still having a “coming soon” website, you’d be forgiven for being a bit sceptical of this newcomer to the brewing scene, but Bear Hug easily proved themselves against the more established breweries present. Brewed with Target, Chinook and Citra hops, this IPA met D’s mouth-puckering hop quota, but by adding the Citra at the end of the process to create an “infusion” Bear Hug succeed in creating a seriously aromatic beer with a fresh finish. There was no lingering aftertaste, no cloying buildup in the mouth – it was super-refreshing. At just 5.6%, it was lighter than many of its IPA counterparts at the festival, but given how quaffable it was, this may be a good thing. What we also loved about Bear Hug was their ethical clout, working alongside My Green Squares to offer both suppliers and customers the opportunity to protect a square metre of rainforest with every bottle bought. We’ll drink to that. The Celt Experience, hailing from Caerphilly in Wales, was a new name to us, but their stall, furnished with old brewing equipment and pipework, was instantly eye-catching. Created as a collaboration brew with the Otley Brewing Co, this black IPA has a massive whack of American hops – Columbus, Green Bullet, Amarillo, Chinook and Waimea – and it has been dry hopped, giving it real zing. According to Celt Experience founder, Tom Newman, the secret ingredient here is the addition of Hungarian peppers, which brings a real fruitiness, as well as some red chillis for heat. Guiding us around the back of the stand, he removes a bung from an enormous oak barrel. ‘Go on, sniff my barrel,’ he encourages us, cheekily. We oblige, getting a faceful of Burgundy. Tom tells us that the beer has been aged for nine months in these barrels, deepening and developing the flavours. There is always a temptation at these kinds of events to steer clear of breweries whose range you already know well. You know that you have limited time and liver capacity at your disposal and feel somewhat duty-bound to try only new things. But we are so relieved that we still took the time to swing by Camden’s stall. We’re familiar with their core range, like Camden Hells and Gentleman’s Wit, and have even tried some of the slightly less common brews like Indian Summer Lager, but we were excited to see a brand new beer – Flue Faker, Camden’s take on a German Rauchbier or smoked beer. Flue Faker uses beechwood smoked malt and Czech Saaz hops. So many brewers may have overplayed this and produced something gimmicky and over the top, but not Camden. The smokiness is subtle but delicious, adding depth of flavour without overpowering the refreshing nature of the lager. It seemed apt to drop by to see Truman’s, who had come back to their old home for the day to show off a range of beers including this beautiful Double Export Stout. London Keeper was the first beer brewed at their new premises in Hackney Wick when they reestablished in 2010 and only 2,000 bottles were made. The recipe was adapted from that of an original Truman’s beer from 1880, one of the few times that American hops were used in 19th Century British brewing when our own hop crop failed. The beer was malty and rich with a nutty nose and treacle and licorice on the palate. Outstanding. We’ve been keen to try Brewdog’s latest ever since it made media tidal waves for its superb anti-homophobic legislation marketing, pinned to the Sochi Winter Olympics. And we weren’t disappointed: generously hopped with Citra, citra and more citra, it packed a lengthy, sweet punch, and clocked in at a beefy 8 per cent. Joint brainchild of Brewdog’s PR arm and the company’s director, this is the young company’s first foray into “political” brewing. The only bad news is that Vladimir has completely sold out, much faster than anticipated, so if you didn’t have a chance to try it at CBR you might have missed your opportunity. We can only hope that President Putin appreciated the bottle that Brewdog sent him. 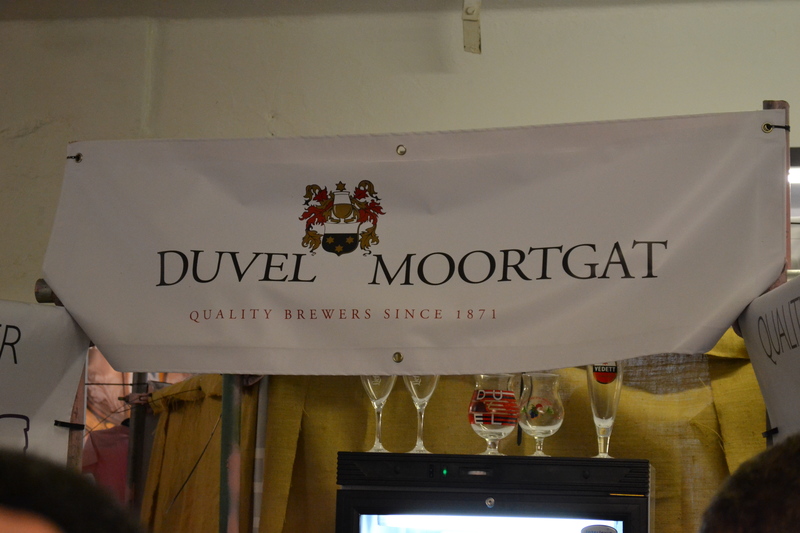 The lovely folks at Duvel Moortgat who chatted Belgian beer with us. We especially enjoyed La Chouffe (8%), Houblon Chouffe (9%) and the Liefmans Kriek Brut (6%). Blue Moon Brewing Co who had brought along a delicious Gingerbread Spiced Ale (5.9%). This really carried all the Christmassy flavours of ginger, cinnamon and nutmeg without any gimmicky, cloying sweetness. 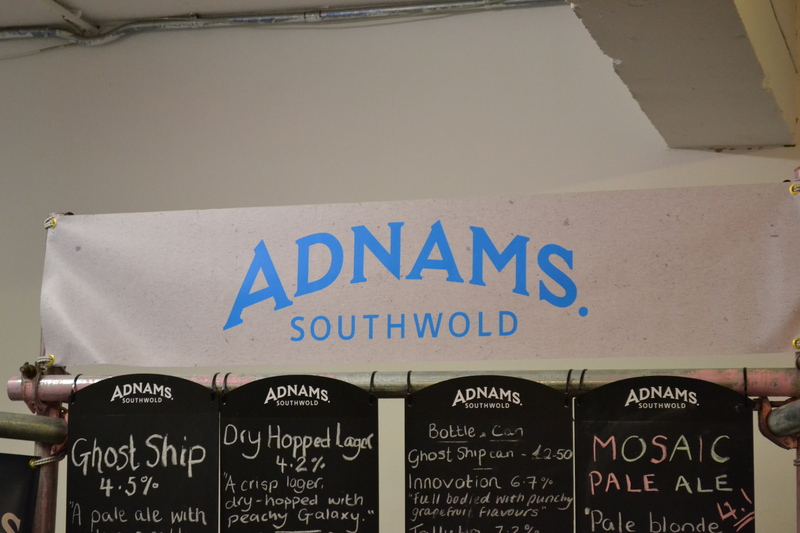 Fantastic to see ICIP’s friends Adnams out in force, and we loved their Rye IPA (5%), which we were not surprised to hear was the brainchild of ICIPA brewer and fellow hophead, Belinda Jennings! We felt like we might as well give up and go home after tasting Ilkley Brewery’s The Mayan (6.5%) – a chocolate chipotle stout – as we failed to see how anyone could top it. Just rereading the description is almost enough to send us into some sort of euphoric catatonia so you can imagine how good it tasted. We bought 4 bottles. 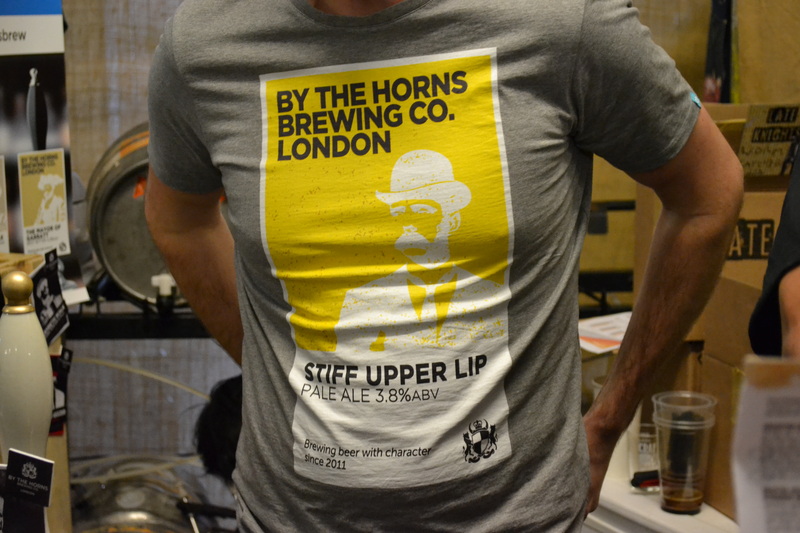 It is always a pleasure to see the guys from Pip’s local brewery, By The Horns. After an expansion last year they are producing more delicious stuff than ever, our faves being Hopslinger (6.3%) and Belgian Space Project (5.5%). Fun to meet some brewers from further afield, too. D was chuffed to find Italian brewers Brewfist and Birrificio Italiano tucked away – their delicious beers got her through a Ryan-air sponsored holiday disaster in Rome last year. Spaceman IPA (7%) was excellent, and a spokesman told us that there were more craft beer bars in Italy than in England. Which sounds like a feature to us. While not a beer, we thought Harry Brompton’s Alcoholic Iced Tea (4%) was so tasty (and so much nicer than those ubiquitous alcoholic ginger beers) that we couldn’t fail to give it a mention! Apparently available in Waitrose – grab a bottle if you see one. Speaking of novelties: Bateman’s Black Pepper Ale. If you buy it in a bottle it comes with a sachet of pepper, if you buy it in a pub they will grind pepper into it for you. Good for a photo-op; not so good when the pepper comes back to haunt every beer you have for the rest of the festival. 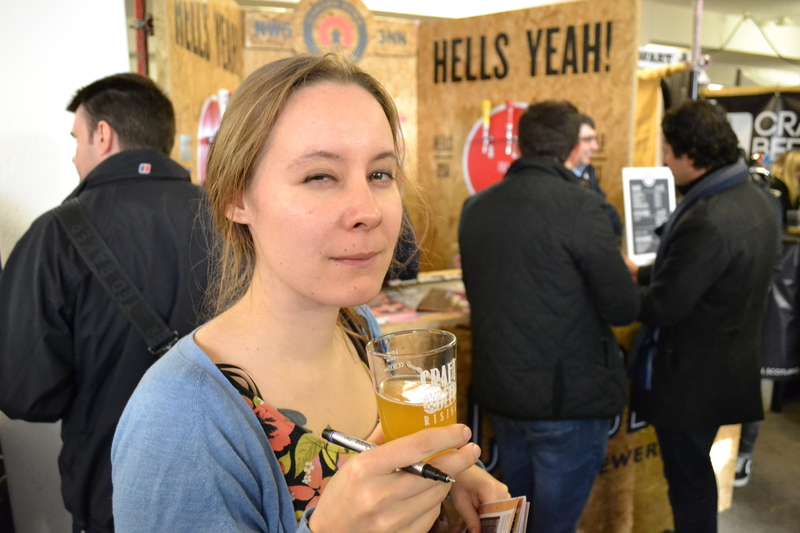 While there was probably still a slightly uneven gender balance at the festival, there were many more women both in front of and behind the bars at Craft Beer Rising, as well as a series of talks by Beer Sommelier and writer Melissa Cole. 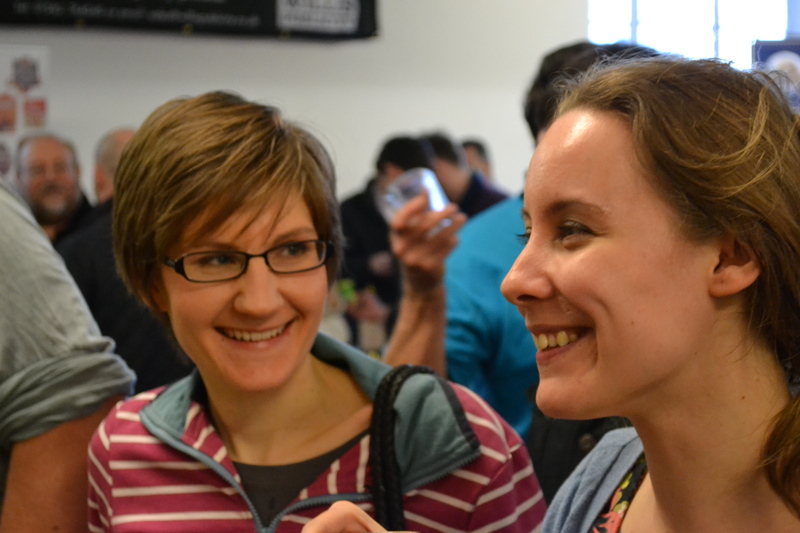 The atmosphere was friendly and inclusive, with brewers and sales reps really showing their passion for their wares. We were surprised by the absence of some popular local names – Pressure Drop, London Fields, Kernel, to name but a few. Given that some relatively small producers such as By The Horns and newcomers like Bear Hug were present, this seemed strange to us, but perhaps given the popularity of this event, they will be on the bandwagon for next year. After we were turfed out so that the exhibitors could regroup before the evening session, it appeared that the entire beer world twitterarti descended on Brewdog Shoreditch to continue the party. It was wonderful to see such a mix of people all enjoying great beer, meeting new people and sharing their love for all things hopped and malted. The event was a fantastic success and introduced us not only to some new favourite beers, but also to some new breweries to watch out for in the future. We are already blocking out our diaries for Craft Beer Rising 2015. Check out the rest of our pics on our Facebook page. This entry was posted in Festivals/Events and tagged Beer, beer festival, craft beer rising on 23/02/2014 by icipints. That’s so not true. American hops were common in British beer from the 1840′s. After about 1850 Britain just couldn’t grow enough hops to keep up with demand and imported them from all over the world. Some years between 25% and 50% of the hops used in Britain came from the USA. In the Truman’s brewing records I’ve seen from the 1870′s, 1880′s and 1890′s just about every beer has some American hops in it, some nothing but American hops. 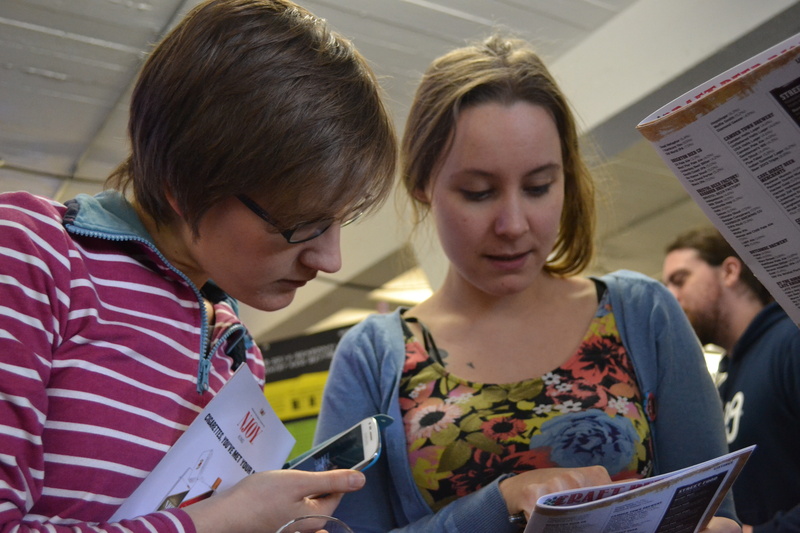 On a ompletely unrelated topic, you make some good points about sexism at the GBBF. I realise that I unconsciously block it out. Too many years practice, I guess.